I’m going on a Lyon hunt!!! The perfect day does not come around often, but when it does I try my best to soak it in and enjoy. Yesterday was one of those “perfect days”. Yesterday was Em’s birthday. The day was simple and unplanned yet it was perfect. It was the type of day that makes you happy to be alive. In an effort to retrace my steps and help recreate more “perfect days”, I complied a list of what made yesterday so memorable and fun. Sleep In and cuddle up next to your loved one till 10am. Refrain from making any structured plans for the day. Eat a whole pan of Rhode’s Cinnamon Rolls together. Pre purchase your favorite junk food for snacking on the couch (i.e. Peanut Butter M&M’s and Sour Patch Kids). Watch a bunch of YouTube videos together. Attend a matinee movie (i.e. Inception) – BTW that movie was crazy amazing! One of the best movies I’ve seen in awhile. Go out for a nice dinner (i.e. 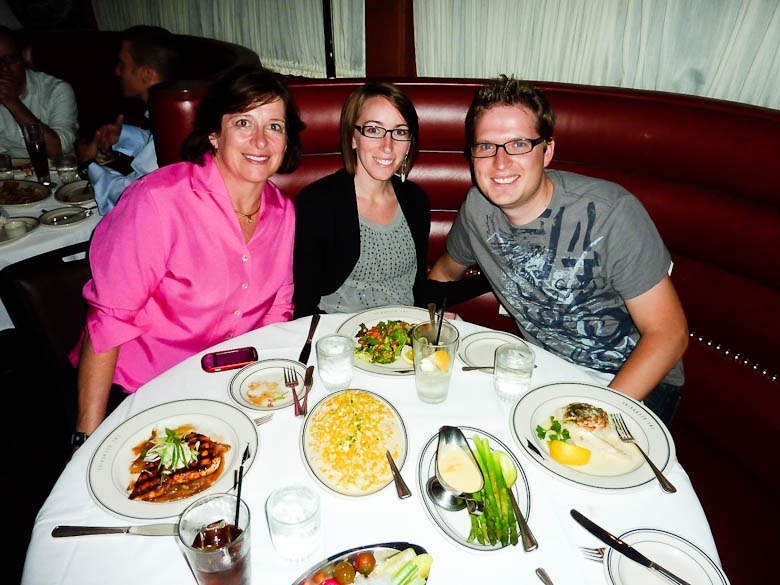 Oceanaire). 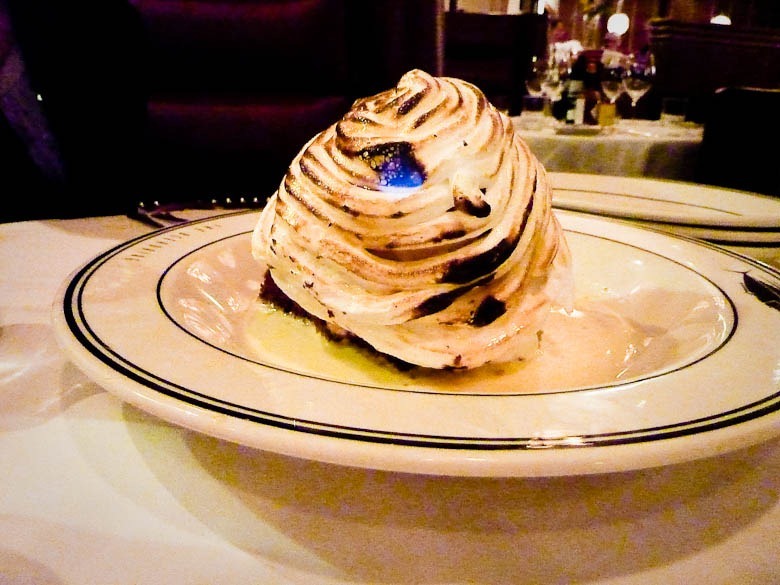 Have your desert lit on fire. Drive home in a crazy downpour of rain. As you can see, there is nothing special about yesterday, but somehow…it was the Perfect Day! Anyone have any other suggestions (ingredients) to making a perfect day? Would love to hear them. I’m a big believer of the importance of the ‘wow’ factor. 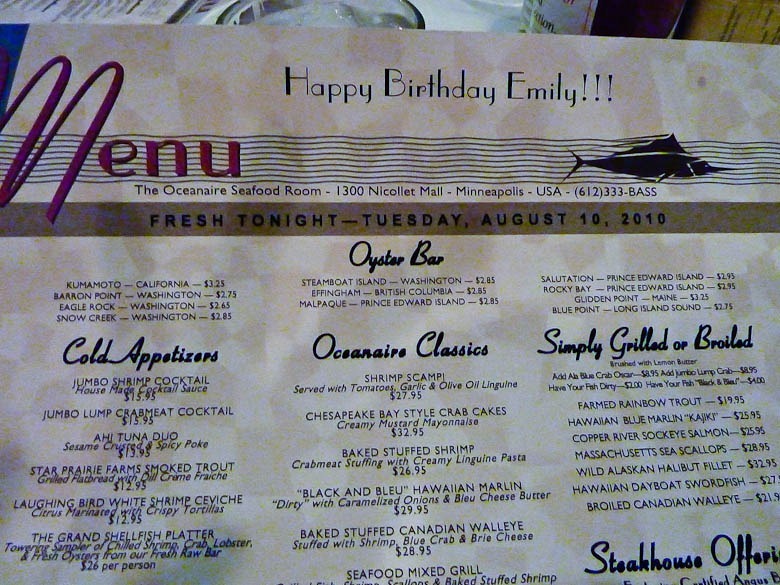 We called Oceanaire about an hour before we arrived and they still had time to print this special message on the menu….Awesome! Em’s mom joined us for dinner Pyrotechnics and desert always play together well.